With football season in full swing and the clocks about to turn back, it’s officially fall. Lets take a look at some of the highlights from our last month. Last month, ASL started working on a safety training video for Hunter Roberts Construction Group. We had our work boots laced tight, hard hats on and captured some gorgeous images of the construction workers and their commitment to safety. Among the tools we brought on board are Leica R prime lenses, a DJI Inspire drone and the Movi gimbal system with Ready Rig and Segway accompaniment to boot. We are excited to share more from this project in the months ahead. 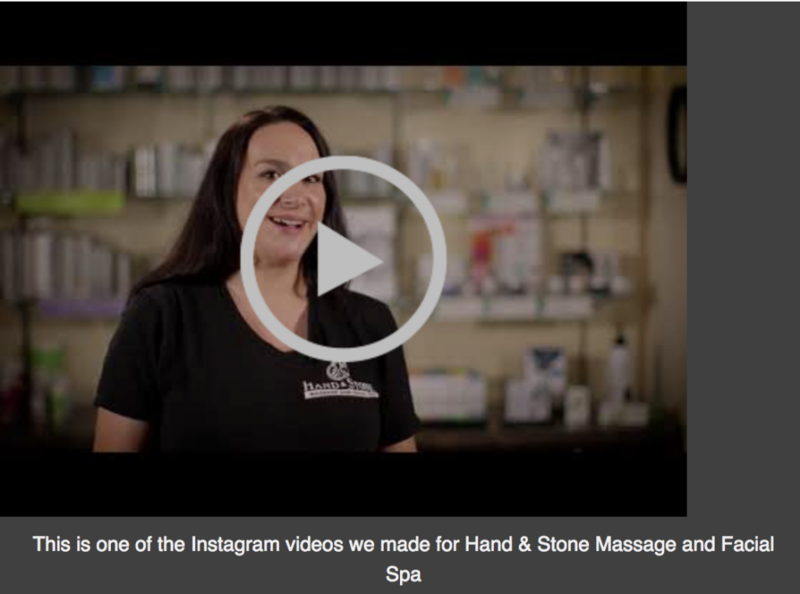 Hand & Stone called on us last month to help them beef up their Instagram video content. We went to their headquarters to interview nine massage specialists from around the country. Check out our creative concept and make sure to follow their Instagram account to see all of the videos. While you’re at it, follow the ASL Instagram page and keep up to date with us daily there. Barstool Sports runs at warp speed creating content 24/7. Not sure what’s faster than warp speed but when football season starts, the pace is certainly more frenzied. 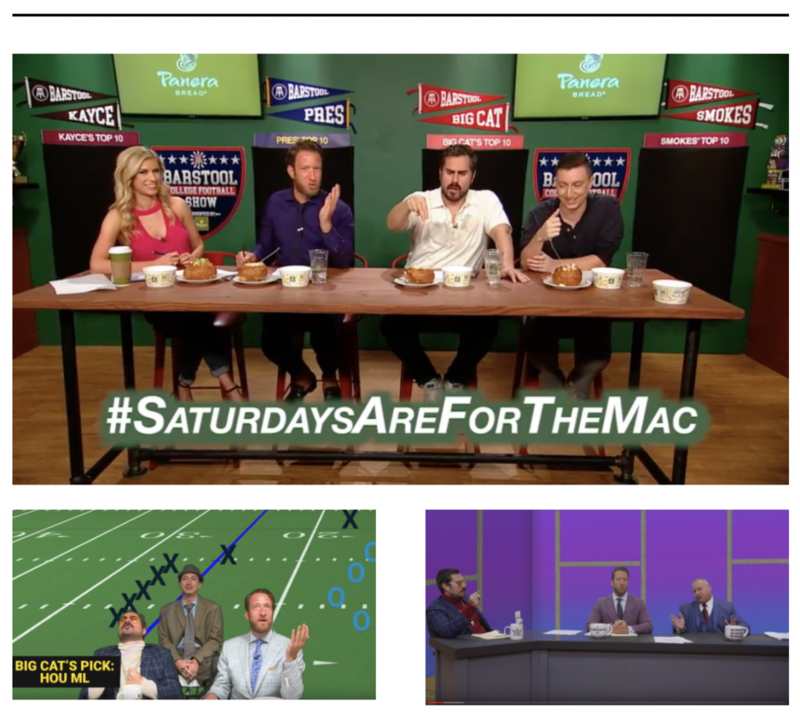 This season, ASL was tasked with helping Barstool create sets for their Panera College Football Show and a gambling advice program called Barstool Sports Advisors. For Sports Advisors, we build and light the set each week in their office, navigating a live working environment and their ever changing schedules to make sure the show is tv ready every Sunday morning. Take a look at the finished products above and be sure to watch the Panera College Football Show Saturday mornings at 10am and Barstool Sports Advisors, Sunday’s at 10! ASL worked with the Barclays Center Group again producing a shoot for the New York Islanders. We were tasked with creating specialty shots to be shown on the scoreboard when the Islanders are being introduced. 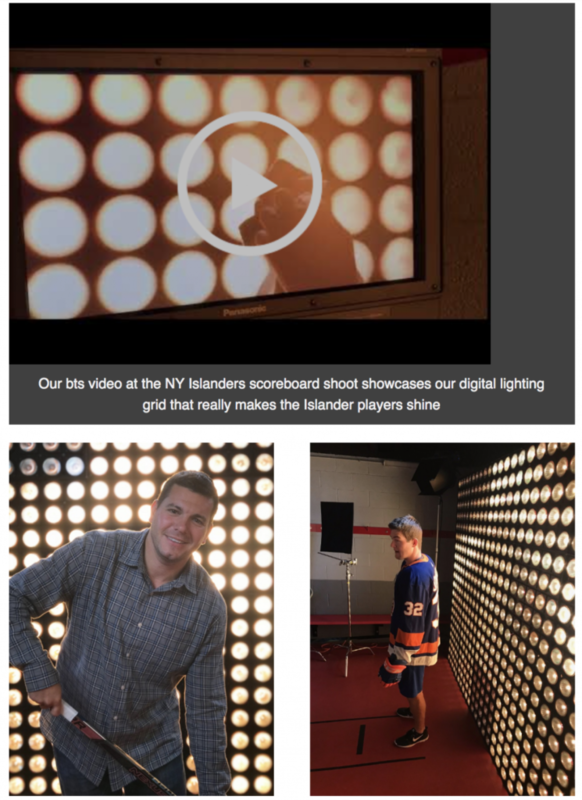 We designed and built a digital lighting grid and programmed lighting patterns to create designs as we captured specialty shots of the Islanders’ players. It was an extremely fun shoot to produce and Adam even got in front of the camera to show off his hockey skills, as you can see above. Another highlight from last month was a project for the NYC Emergency Management Office. 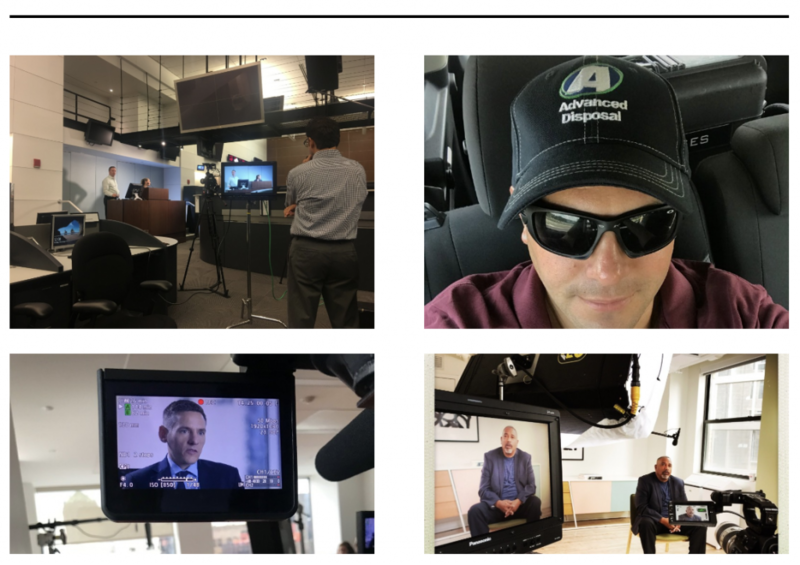 Also, it must be testimonial season as we produced videos with clients of Dash Hudson, Lifion by ADP, Reonomy and 1800Accountant. 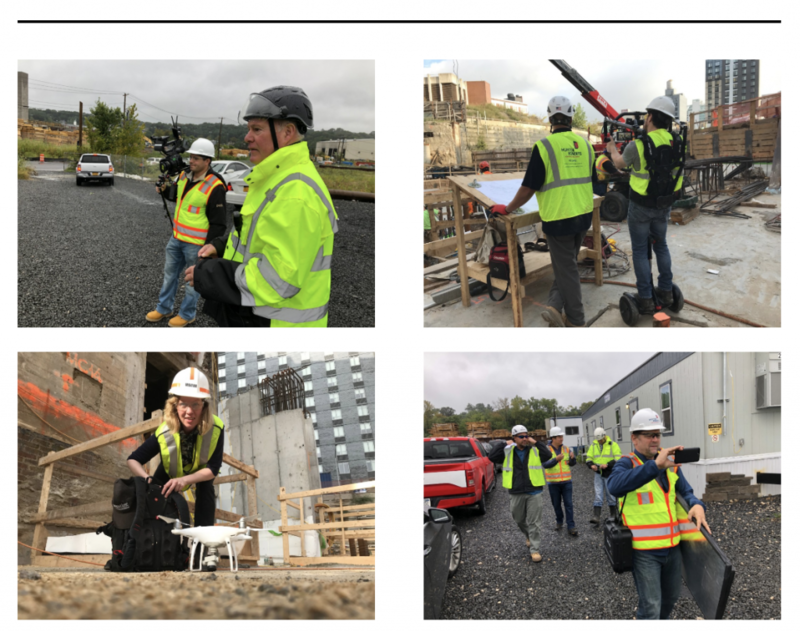 Stay tuned next month when we fill you in on shoots with American Express, a new wealth management company project and more of the most cinematic construction safety footage you will ever see.